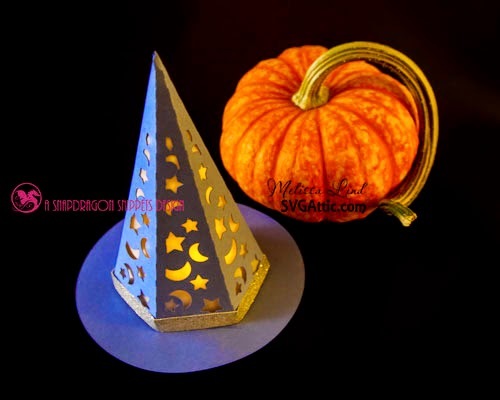 My Watermelon Moon: Wizard Hat Luminary= FUN! It's hard to believe that 6 months has flown by so quickly and that my time with the SVG Attic design team is concluding. I have had a great time and enjoyed watching SVG Attic grow so quickly! What an awesome team and I will miss working with everyone! Thank you and I look forward to remaining a SVG Attic fan!! !